Last week I had the pleasure of attending the Canvas Conference 2018 at Birmingham Library. The day was packed with talks from a number of leading professionals in the creative industries and breaks were filled with fresh pastries and coffee… My kind of day. While I took home a lot from the conference, nine talks in a day is also quite intense, so I’m going to try my best to summarise the six key lessons I learnt from the day. Pip Jamieson is the Founder and CEO of The Dots, an online portal likened to the LinkedIn for creatives. In her opening talk she discussed how she’s learnt, through her time of bringing The Dots into fruition, how diversity in business is of critical importance. Martin White, Experience Design Lead at Sainsbury’s, gave an interesting talk with insight into the Sainsbury’s brand, past and present. Two things stood out from his talk; A: make sure you design with the strictest consistency across all collateral, and B: be sure to innovate while carefully keeping tradition and values. 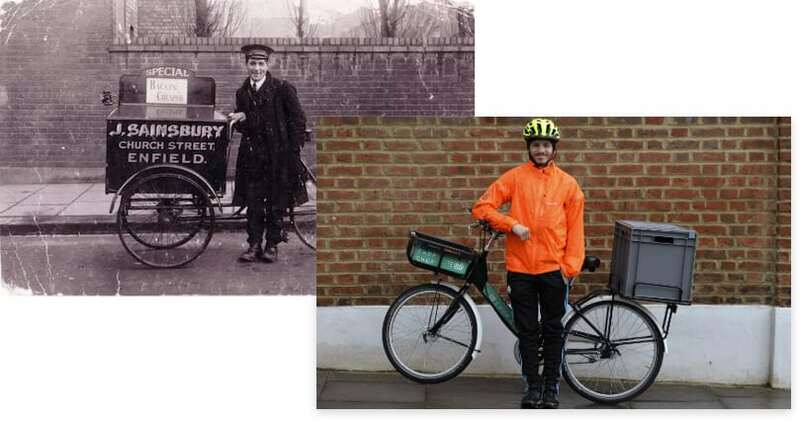 One example of point B from his talk is the bicycle delivery service which has been re-instated at one of its larger London stores. This ‘new’ service offers delivery via electric-bicycle within an hour and is being trialled from the Streatham Common store. What I found interesting was that this service is in fact an age-old service that originally started more than 130 years ago. A fine example of being innovative (no other large supermarkets do it! ), while retaining tradition. Ilze Dreyer, a Product Owner at Booking.com, spoke about successful teams that build successful products during her 30 minutes, and focused on the three Cs that are fundamental when building a great team. She said, “… care about what you do and people you do it with, tune into the chemistry of your team and work to balance it out and focus on creating consistency and continuity in your teams with strong succession plans.”… I guess that actually makes 4 Cs, but never mind. 4. Sounds can travel to your brain via your jaw bones…?! This is a little harder to summarise, and to be honest it’s something I’d never really thought about before. 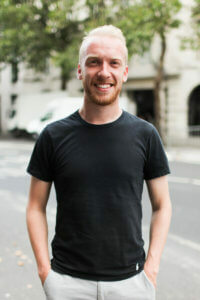 Joe Macleod, author of the book Ends, specialises in consumer endings and made some fascinating points about how the way we end things can determine future relationships. Considered endings can, for example, help long term brand loyalty and presence and improve consumer experience. To find out more check out Joe’s book Ends..
My final takeaway from the day was from Dave Wascha’s talk. Dave is the Chief Product Officer at Photobox, and he gave a fascinating talk on meeting customer needs. He closed the talk by saying that we need to be ‘dumb’ a lot more often. He went on to say that if we can look through the eyes of a customer who has no prior knowledge when reviewing new features, designs and products, then we can more easily spot the core issues of our work, and see what we’re doing well. We aren’t doing what we do to solve our own problems, it’s our job to solve the customers’. We must advocate for our customers and make sure we bring their perspectives to the situation in order to meet their needs. All in all, I found the conference to be a wonderful event, that will no doubt enlighten my thinking and practice going forward. I’m already looking forward to next years event!